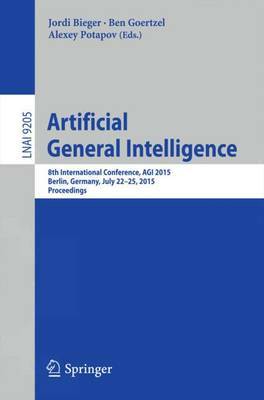 This book constitutes the refereed proceedings of the 8th International Conference on Artificial General Intelligence, AGI 2015, held in Berlin, Germany in July 2015. The 41 papers were carefully reviewed and selected from 72 submissions. The AGI conference series has played and continues to play, a significant role in this resurgence of research on artificial intelligence in the deeper, original sense of the term of "artificial intelligence". The conferences encourage interdisciplinary research based on different understandings of intelligence and exploring different approaches. AGI research differs from the ordinary AI research by stressing on the versatility and wholeness of intelligence and by carrying out the engineering practice according to an outline of a system comparable to the human mind in a certain sense.